To the ire of Indonesians, London newspaper, The Economist has mistakenly labelled Indonesian e-commerce marketplaces Tokopedia and Bukalapak as Singaporean. An article titled “Indonesia binges on e-commerce”, was published on 10 January by The Economist, and shared on Twitter with a caption, “Tokopedia and Bukalpak, two local e-commerce startups from Singapore, use their local knowledge to battle Chinese firms”. 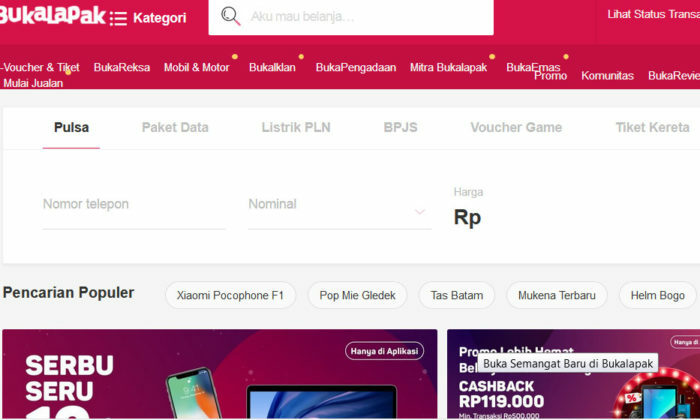 Several other comments by netizens were mainly pointing out the origin of Tokopedia and Bukalapak, as well as correcting the spelling gaffe. May be the admin is too sleepy. Need coffee, buddy? Tokopedia & bukalapak are from Indonesia. Dear admins @TheEconomist Please be careful. Hey @danprimack, @bukalapak is Indonesian, not Indian. Marketing has reached out to The Economist, Tokopedia and Bukalapak for comment. Entering SG's F&B scene: Are international brands biting off more than they can chew? "The expansion will cater to startup ecosystem growth beyond the Klang Valley and among the potential destinations were Penang and..
“Why is it so hard to see black and blue?”..